De Nicolaas G. Pierson Foundation is the scientific bureau of the Party for the Animals. The NGPF’s goal is to conduct scientific research and increase public knowledge and awareness of social issues, most particularly with regard to animal welfare, animal rights, sustainability and nature. The NGPF explores and presents alternatives that can contribute to the realisation of a more pleasant, animal-friendly and sustainable society. In so doing, the Nicolaas G. Pierson Foundation endeavours to make existing scientific research and knowledge far more accessible to the broader public and to stimulate societal and political debate on such themes. In addition, the NGPF also initiates scientific research studies. As an intermediary between science, society and politics, the Nicolaas G. Pierson Foundation strives to provide both the public and political world with food for thought. The Foundation makes an important contribution to the social discourse on issues such as animal welfare and sustainability by publishing articles and reports, holding lectures and participating in debates. 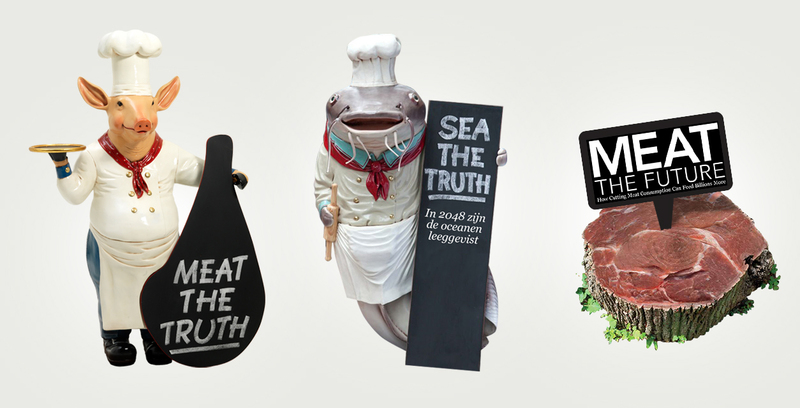 The much-discussed documentary Meat the Truth, which explores the impact of intensive livestock farming on global warming, is just one example of the activities that the NGPF has developed. Further to this, the Foundation supports the regional working groups of the Party for the Animals with respect to the development of activities such as thematic meetings and debates. The Nicolaas G. Pierson Foundation is primarily supported by private donations. In addition, the Foundation receives a governmental subsidy for its activities. The Foundation is managed by a board of governors; the director is an advisory member of this board. Marianne Thieme is chair and co-founder of the Party for the Animals. After obtaining her law degree at Erasmus University in Rotterdam, worked for a governmental advice bureau in The Hague (1998-2001). In her leisure time, she worked as a volunteer for the Dierenbescherming (the Dutch Society for the Prevention of Cruelty to Animals). She then decided to make a career in animal protection, and subsequently became a policy adviser for Bont voor Dieren (‘Fur for Animals’), an organisation for the protection of fur-bearing animals. In 2004, she became director of Wakker Dier, an organisation that fights for the abolition of the factory farming industry. In October 2002 Marianne Thieme co-founded the Party for the Animals and in 2006 Marianne and colleague Esther Ouwehand were elected into the House of Representatives and she became chair.